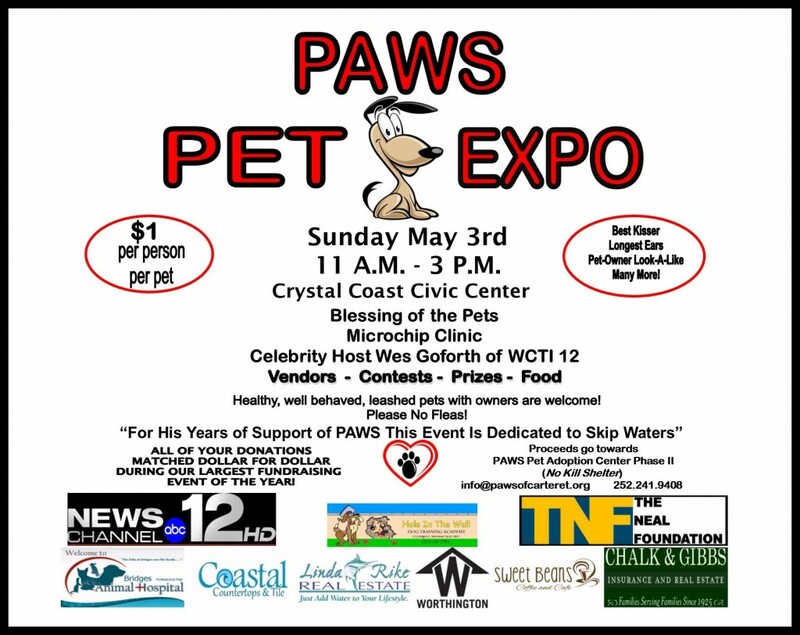 Description: Fabulous fun for everyone at the PAWS Pet Expo! Contests include Best Kisser, Longest Ears, Longest/Shortest Tail, Owner/Pet Look-A-Like, and more! Blessing of the Pets is scheduled for 1:30pm. 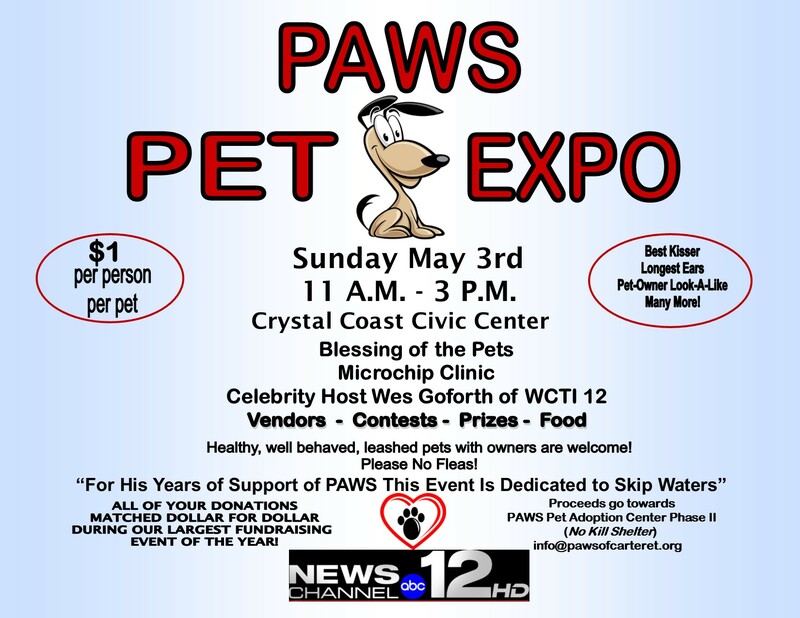 Microchip Clinic $45 INCLUDES registration! Food, vendors, fun! Celebrity host Wes Goforth and this year’s event is dedicated to Skip Waters. This entry was posted on Tuesday, January 20th, 2015 at 11:21 pm	and is filed under Uncategorized. You can follow any responses to this entry through the RSS 2.0 feed. You can leave a response, or trackback from your own site.